Rob is a Director at FRA, and has over 20 years’ experience of fraud, bribery and corruption and financial crime investigations. In his role he has worked in law enforcement, regulation, private practice and in-house investigative teams and has led many high profile and sensitive multi-jurisdictional investigations. He helps clients investigate, remediate and report incidents of fraud, bribery and financial crime. 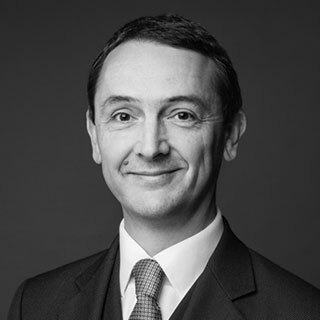 Prior to joining FRA, Rob was Director of Forensic Accounting at Exiger, where he was a member of the Monitor Team for HSBC in relation to its 2012 DPA with the DOJ. Rob has also had roles in the enforcement team at the Financial Reporting Council and as Head of Bribery and Corruption Investigations for GlaxoSmithKline (GSK). Rob served as a Principal Investigator in the UK’s Serious Fraud Office, where he led complex fraud and sanctions investigations, involving detailed analysis of company accounting and audit records and interviews of suspects, witnesses and victims. He regularly prepared statements on asset tracing, cash flows and financial analysis. During this role, he was seconded to the Serious Organised Crime Agency where he reported on emerging criminal typologies, conducted money-laundering investigations and provided technical forensic accounting support. Rob is a Chartered Accountant (FCA) and is a member of the Forensic and Expert Witness Community advisory group of the Institute of Chartered Accountants in England & Wales (ICAEW). Rob is based in FRA’s London office.